Aspiring writers have been relying for years on Bibisco to help improve their skills and develop more marketable novels. While it is a powerful (and mostly free) tool, other developers have also taken the concept and created their apps built on the same basic features and functions. If you haven’t explored some of the alternatives already, we think these six are well worth a look. Most are free to use and could have features and layouts you find more conducive to writing. 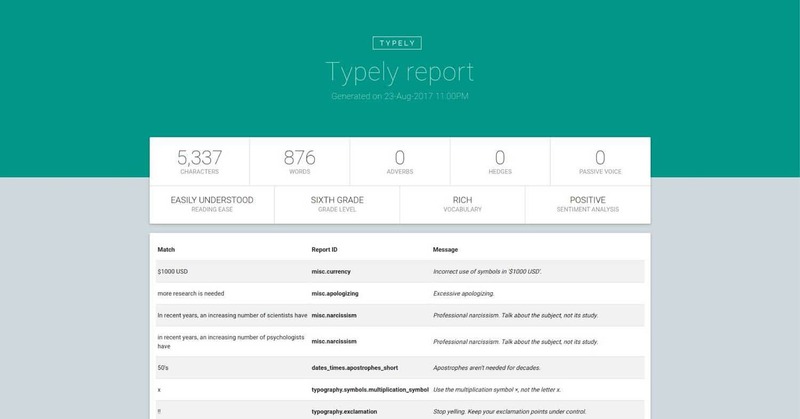 According to the product website, “Typely helps you get in the mood and keeps you focused, immersed and ready to write your story.” If you’ve used other proofreading apps in the past, checking this one out is a must. The thing that makes Typely stand out is the fact of its relaxed, realistic way of analyzing text. Some apps flag so many presumed “errors” it can be difficult to maintain concentration or inspiration long enough to write anything good. The app makes practical suggestions and allows the writer to accept or reject the changes. It also helps create and maintain a distraction-free environment and provides various enhancements to the writer’s space (music, visuals, etc.). It even has a few accountability tools built in to ensure that you write something. For the more confident writer, EssayPro offers real-time proofreading and editing services to help tighten up any manuscript. They also provide collaborative writing services and can even help create content for your blog while you keep working on your masterpiece. You can even work one-to-one with a professional essay writer who can help tighten up an existing manuscript and deliver quality blog content to promote your work. 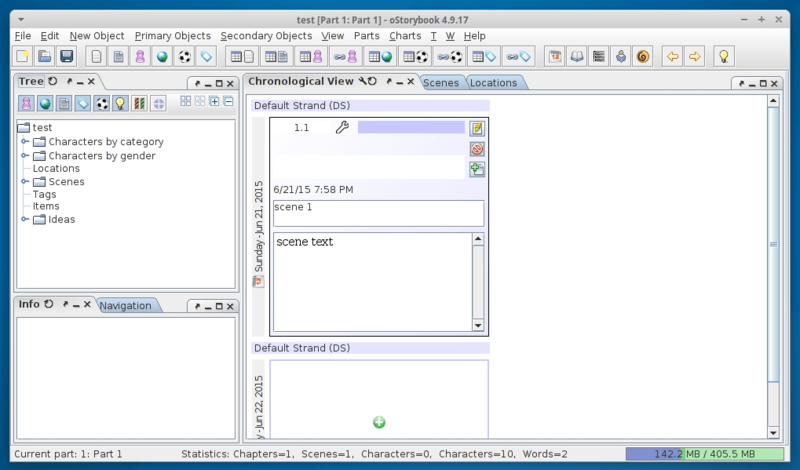 yWriter is a powerful enhanced word processing application that breaks novels down by chapter and scene. It helps writers keep track of their work while promoting a level of focus that leads to the free-flow of ideas. It also saves documents incrementally. That means that if it becomes necessary to backtrack, every previous version can still be searched and pulled up for reference. The app is free to download and use, and registration is encouraged (no payment or credit card required). Manuskript is perfect for writers who are already organized and need a customizable space to write, but it helps teach good organizational skills as well. 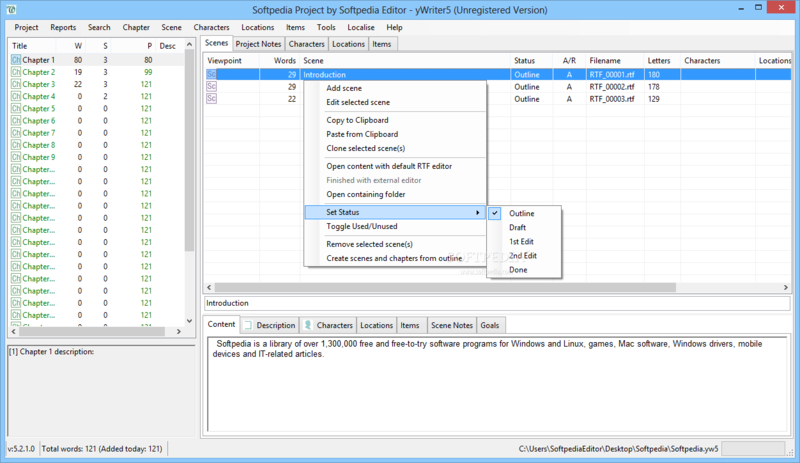 It presents the writer with a way of plotting everything out before beginning to write and uses its proprietary snowflake method to help keep ideas and plot points organized as the narrative develops. Keep track of all characters, plot points, arcs, events, and all other details pertinent to continuity. It is free to use, and its developers continuously improve upon and add to the app’s growing list of features. Designed to manage and enhance an array of writing tasks, oStorybook helps writers keep track of all aspects of the story/details. Following the important details in the forefront helps steer the story or message in the right direction. 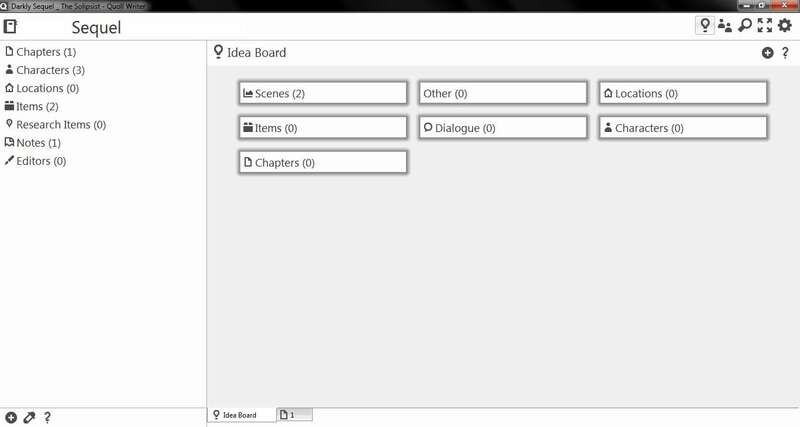 It manages characters, scenes, locations, and much more. Better still, it’s simple, customizable user interface makes it even easier to concentrate and focus. 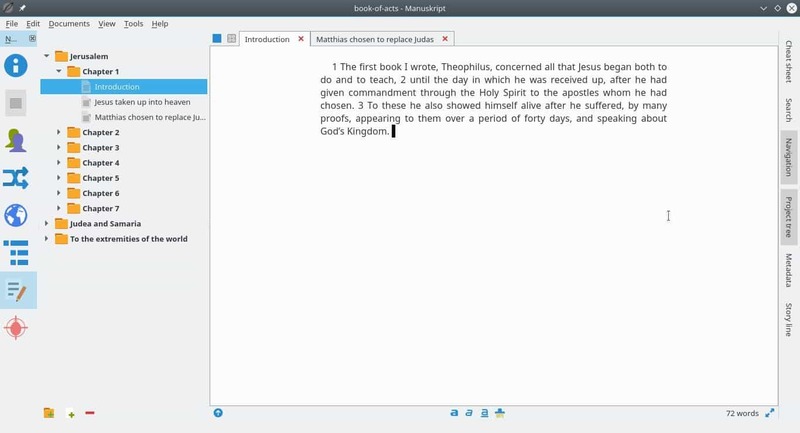 Described by the developer as, “A writing application that lets you focus on your words.” It includes a minimal, tabbed interface for staying organized. It makes it easy to keep track of characters, details, and assets and use them correctly in the narrative. Its problem finder feature also helps cultivate better writing by highlighting mistakes and suggesting fixes. Quoll Writer even has a collaborative capability and helps keep writing more on schedule. Writers can сheck and analyze various statistics that teach them even more about their writing, their habits, and how to improve each. Most of the above applications have similar features but also manage those features in different ways. Which one(s) will help you finally take your writing game to the next level? You won’t know if you don’t check them out. Links to the product homepages are in their descriptions, and we encourage you to take the time to tap or click on all of them. Becoming a better writer is all about inspiration paired well with the organization. All of the above options can help with both.